September is a big month for the National Writers Series. Doug Stanton, a New York Times bestselling author and NWS co-founder, and Alice Waters, whose September 24 event is already sold out, will sit down with readers this month to talk about their newest books and more. Note: Tickets for The Edible Schoolyard Project benefit reception with Alice Waters, are still available. It takes place on September 24, 5 p.m., at the City Opera House. The event features drinks and hors d’oeuvres, and a short talk by Waters about how she founded the nonprofit and its culinary educational achievements. 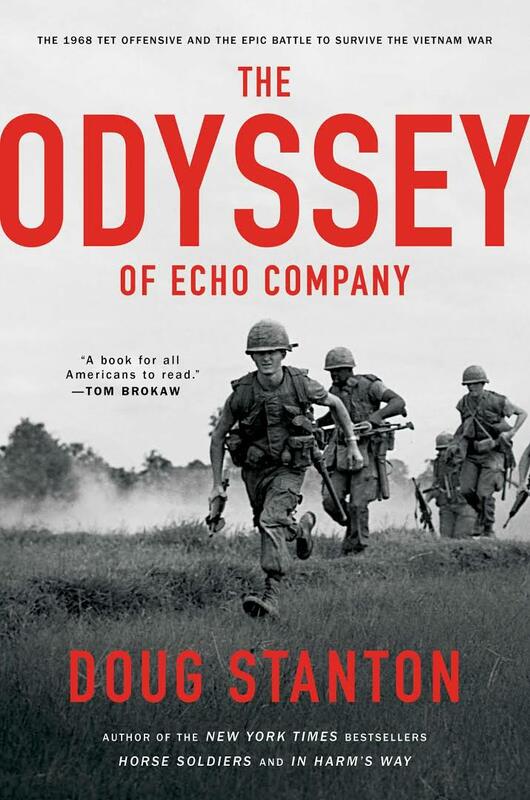 An ‘Echo’ Heard 50 Years Later: Doug Stanton writes a riveting account of a platoon’s 60-day fight for survival during the Tet and its return home. Stanton’s new book, The Odyssey of Echo Company, focuses on the emotional and spiritual journey of Stan Parker, a young man, who with a small recon platoon, fought bravely in the Tet offensive in 1968. In 2014, Parker returned to Vietnam with Doug, visiting a village—a former battlefield—where he had a chance meeting with an enemy soldier. Guest host for the event is Colin Harrison, a former classmate of Stanton’s at the University of Iowa’s Writers’ Workshop. The infamous campaign known as the Tet Offensive escalated the war to previously unmatched heights. On the front lines, U.S. and South Vietnamese troops fought for their lives. Of those entangled in the offensive, many perished. Causing major alarm back in the states, it would be a turning point in the public’s tolerance of the war. Many soldiers who returned home were greeted with disdain or disregard. Stanton conducted first-person interviews with soldiers, traveled to former battlegrounds and pored over letters sent to and from Echo Company, as well as an abundance of Pentagon reports, photographs and filmed footage. The story ends with one soldier finding closure in the country where it all began. Stanton, a Traverse City native, is the critically acclaimed author of two New York Times bestselling novels: his 2001 breakout work, In Harm’s Way, about the sinking of the U.S.S. Indianapolis, and 2009’s Horse Soldiers, named a “Notable Book” by The New York Times and currently in development as a Jerry Bruckheimer-produced film starring Chris Hemsworth and Michael Shannon. He has written on subjects ranging from travel and sports to history and entertainment. His writing has appeared in Esquire, The New York Times, TIME, Men’s Journal, The Washington Post, and Outside Magazine—whose founding editor, Terry McDonell, will take the NWS stage in October. Stanton lectures nationally and has taught creative writing and English at the undergraduate and graduate levels. He and his wife, Anne, have three children and live in Traverse City. Four of his books have been selected as Notable Books by The New York Times Book Review. Harrison was formerly an editor at Harper’s Magazine between 1989 and 2001, where he worked with some of contemporary literature’s most illustrious talents including David Foster Wallace, Jonathan Franzen and Sebastian Junger. Harrison’s novels include Afterburn, Manhattan Nocturne, Bodies Electric and Risk, which was originally published serially in The New York Times Magazine in 2008. His nonfiction has been published by The New York Times, New York Magazine, The Washington Post, The Chicago Tribune and Vogue. He attended the Iowa Writers’ Workshop, where he earned an MFA in 1986. The event sponsor is Chemical Bank. 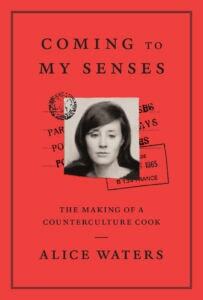 For those who don’t know, Alice Waters is a national culinary treasure. Combine equal parts trailblazer and activist; blend for 45 years. Her NWS appearance is the culminating event of the debut week for the Local Harvest Restaurant Series, which will run September 18–24 (more information is available through Tricia Phelps, Taste the Local Difference, 847-809-7643). 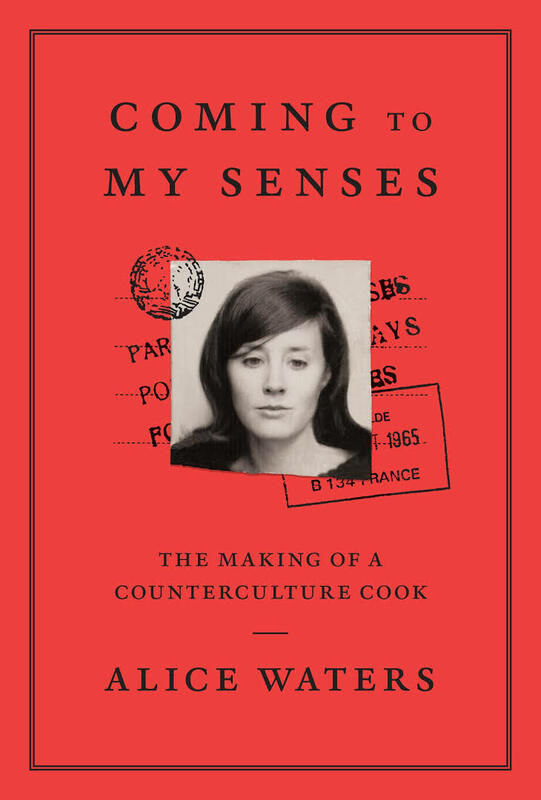 Waters earned her chops as an early champion of food sustainability, opening the legendary Chez Panisse in Berkeley, California in 1971, at just 27 years old. Since its inception, the restaurant has boasted locally sourced, seasonal and organic ingredients as well as an impressive clientele; among its ranks, the Dalai Lama. In 1996 Waters planted the seeds (yes, literally) of what would become the Edible Schoolyard Project. The free lunch and food education initiative started with a single garden and teaching kitchen and today services 16 school districts and provides 10,000 meals each day. Waters has received numerous accolades, including Harvard Medical School’s Global Environmental Citizen Award. She is a Fellow of the American Academy of Arts and Sciences and inductee of the French Legion of Honor. In 2015, President Obama awarded her the National Humanities Medal. It’s no small luxury to have such an influential figure indulge us with savory tidbits on her activism and inspirations—a discussion certain to leave us craving more. The event sponsor for this event is Cherry Capital Foods. Chef Jennifer Blakeslee is the co-chef/owner of The Cooks’ House restaurant in Traverse City. She is a Traverse City native and a culinary graduate of Johnson & Wales University. Chef Jennifer has over 20 years cooking experience. She and Chef Eric Patterson, the other half of The Cooks’ House team, earned one Michelin Star at Andre’s French Restaurant in Las Vegas. Chef Eric spent most of his career in Las Vegas and received his culinary education through an apprenticeship under celebrated Michelin star chef Andre Rochat. He has 36 years cooking experience. Both events take place at the Traverse City Opera House located at 106 E. Front Street in downtown Traverse City. Doors open at 6 p.m. with live music, a cash bar and Morsels (at every event, Morsels makes a special delicacy named for the author). Each evening event will also include an audience Q&A and a post-event book signing. View the full fall lineup here. Tickets can be purchased at the City Opera House box office, online or by phone at 231-941-8082. The box office is open Monday through Friday, 10 a.m. to 5 p.m.